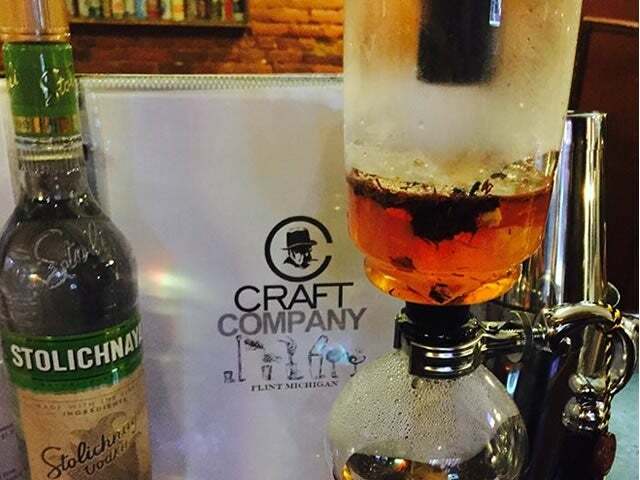 A quintessentially American bar and restaurant in downtown Flint, Michigan, Churchill's is the place to go for draft craft beer, bourbon, and live music. A staple on Flint’s downtown dining and drinking scene, Churchill’s Food & Spirits is home to a hat-trick of great food, drinks, and atmosphere. Taking inspiration for its name from the famous Prime Minister, Churchill’s may not be quite as famous as the former British head of state (yet), but it is certainly revered by the people of Flint. Yes, Churchill’s has been a favorite haunt of students and workers in the center of town for years, and having recently come under new ownership, the bar has taken things to a whole new level for the next generation. Beginning with the exterior of the venue (which boasts a brand new electronic sign and classy hunter green canopy), Churchill’s exudes a classic American bar atmosphere, and that is to say it is welcoming and casual but with a touch of refinement. Brick walls, sports & spirits memorabilia, and leatherback bar stools set the tone, but it’s the thirty taps of beer and bounty of bourbon bottles that has us the most excited. On draft, you’ll find nearly every type of craft beer under the sun (from hoppy IPAs and tangy Berliner Weisses to spicy, chocolate-tinged stouts and bourbon-barrel aged ales) and the bourbon selection follows suit with selections from micro-distillers all the way to the most famous labels in the world. Like any American bar worth its salt, live music and sports are always on the go (they take their Wolverines, Spartans, and Red Wings games seriously around here) and we can’t wait to see where Churchill’s goes from here.